Situated on the Amalfi Coast, which was registered on the UNESCO World Heritage List in 1997 as a cultural landscape, is Positano, a charming little town built on a cliff and surrounded by turquoise sea. 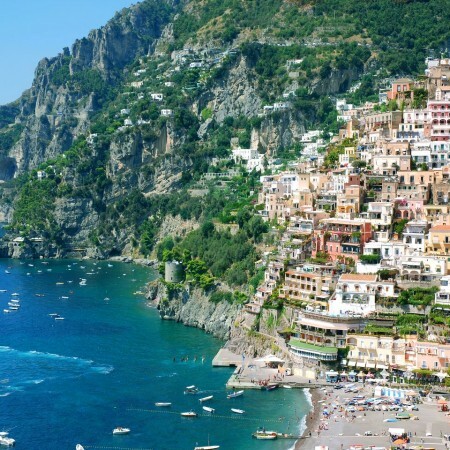 The coast in Positano is considered one of the most beautiful areas of the Amalfi Coast. 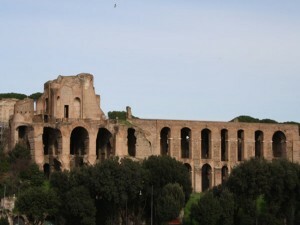 It was once a Roman resort location, as evidenced by the archeological discovery of ancient remains of a villa. 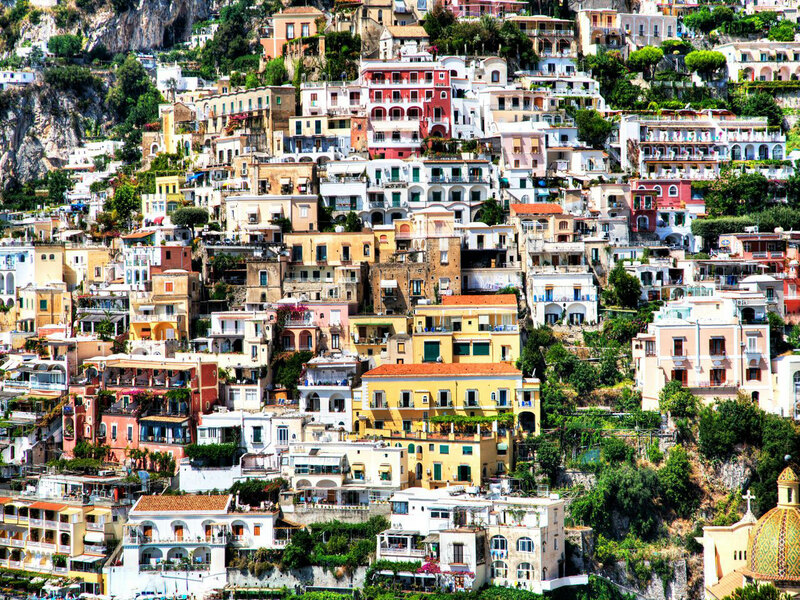 Positano was also a prosperous port city during medieval times, its trade and riches only expanding during the 16th and 17th century. 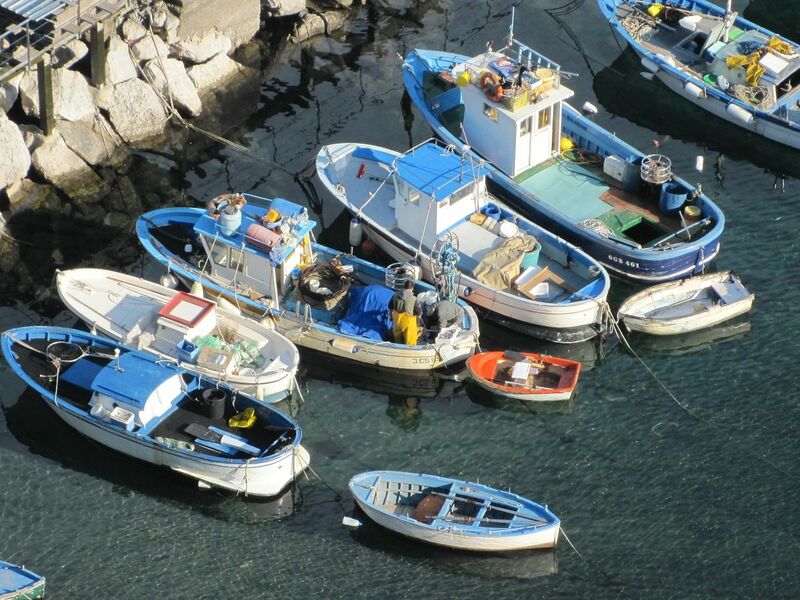 Unfortunately, its wealth declined and by the mid 19th century, Positano was little more than a poor fishing village, much of its population having moved elsewhere. 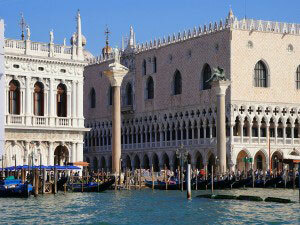 It began to revive during the 1950s, following a rising interest and a nascent tourist industry. 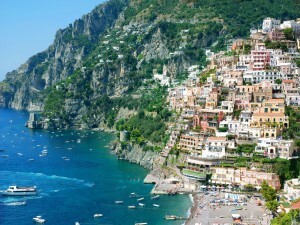 Today, Positano is one of the most popular attractions on the Amalfi Coast. 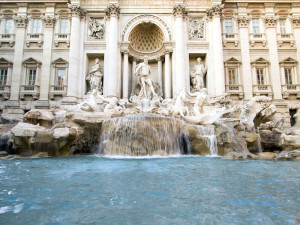 Categories: Places to Visit, Sightseeing Tours of the Amalfi Coast. 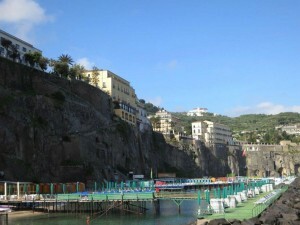 Tags: Amalfi Coast, Day Trips From Sorrento, Positano. 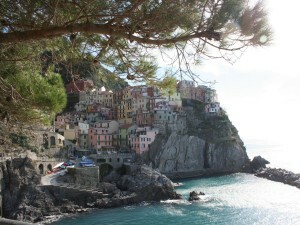 The town is composed of small white houses built on the rocks of the cliff. Looking down, its streets seem to disappear into the sea; this is due to the shape of the streets and the city as a whole, which create an interesting optical illusion. Climbing at the very top rewards visitors with a wonderful panorama that allows for spectacular pictures. 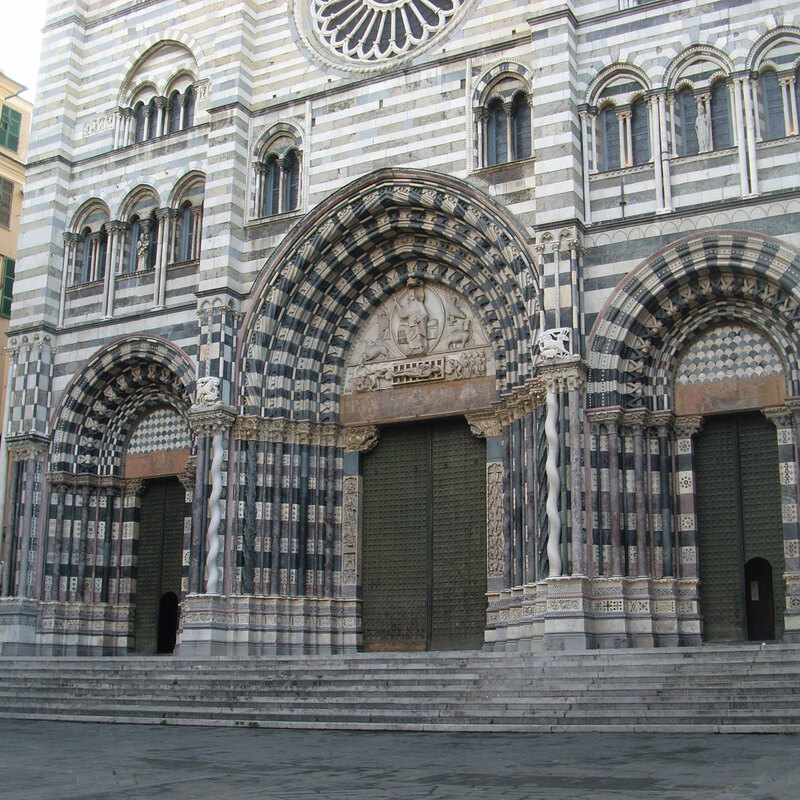 Also worth a visit is the church of Santa Maria Assunta with its colorful majolica-tiled cupola. 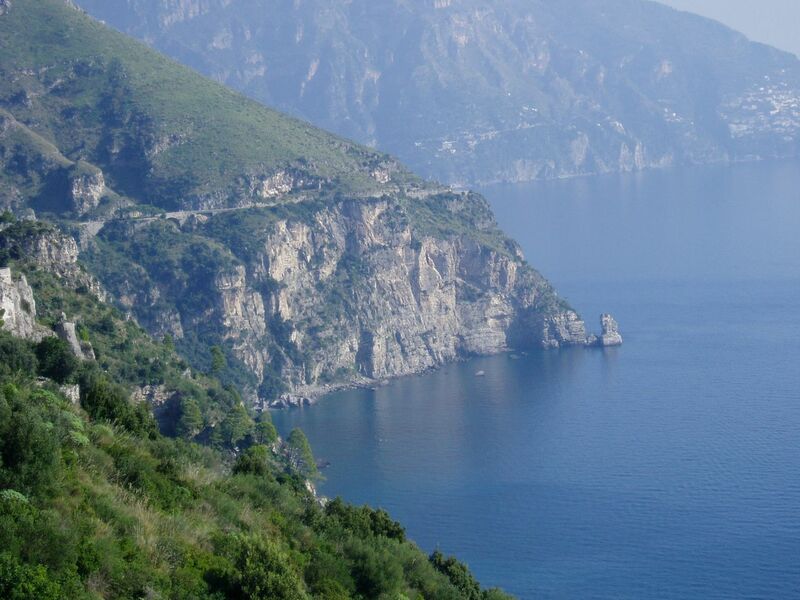 Your private driver will pick you up from the hotel in the morning for your full day tour along the breathtaking Amalfi coastline. This excursion will transport you to a place where nature, culture and food exist in harmony by the sea. 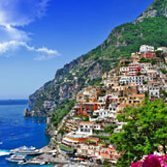 You will stop in three of the delightful towns nestled in the small natural bays along the coast: Positano, Amalfi and Ravello. 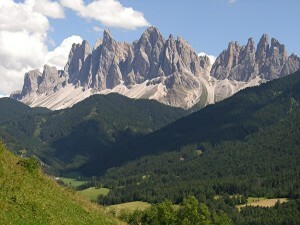 All three offer breathtaking views and the opportunity for spectacular photos. 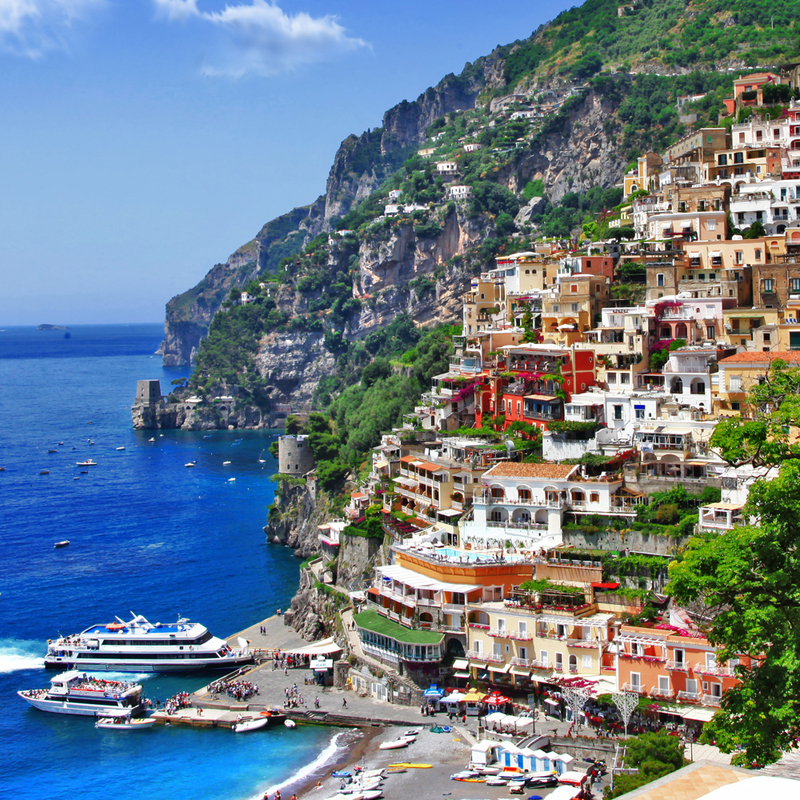 Your first stop will be Positano, a charming little town built on a cliff and surrounded by turquoise sea. 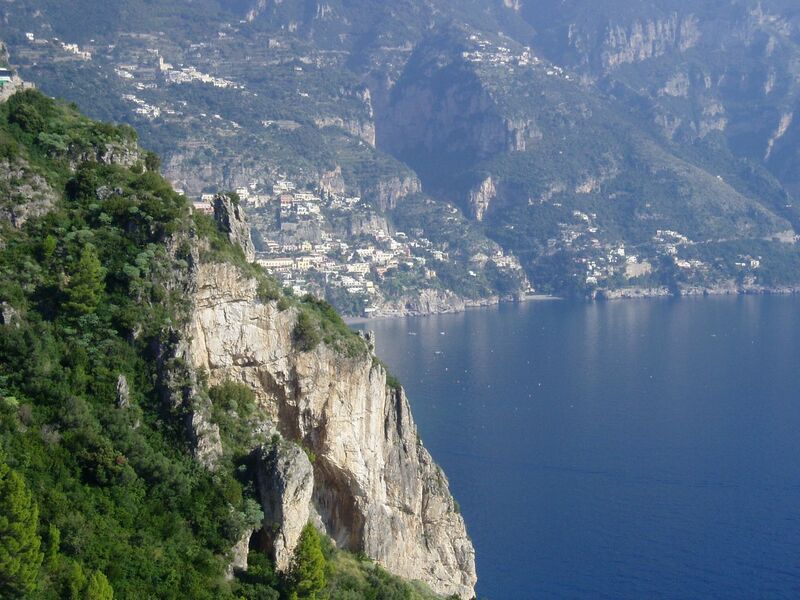 The coast around Positano is in fact considered to be one of the most beautiful areas of the Amalfi Coast. 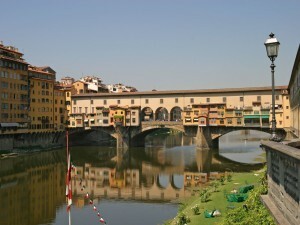 In the 1950s, the town was rediscovered thanks to a nascent tourist industry and has since become a popular attraction. 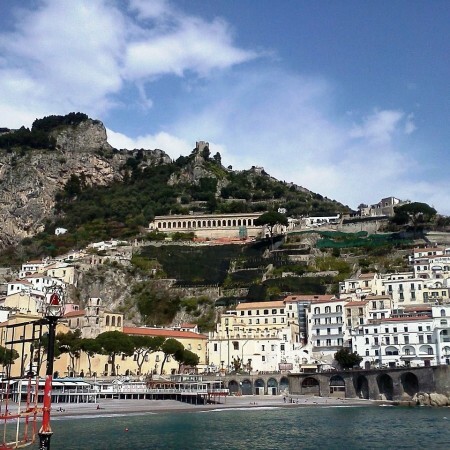 Next, you will visit Amalfi, the most important town in the area as well as one of the most popular, attracting huge numbers of tourists every year. 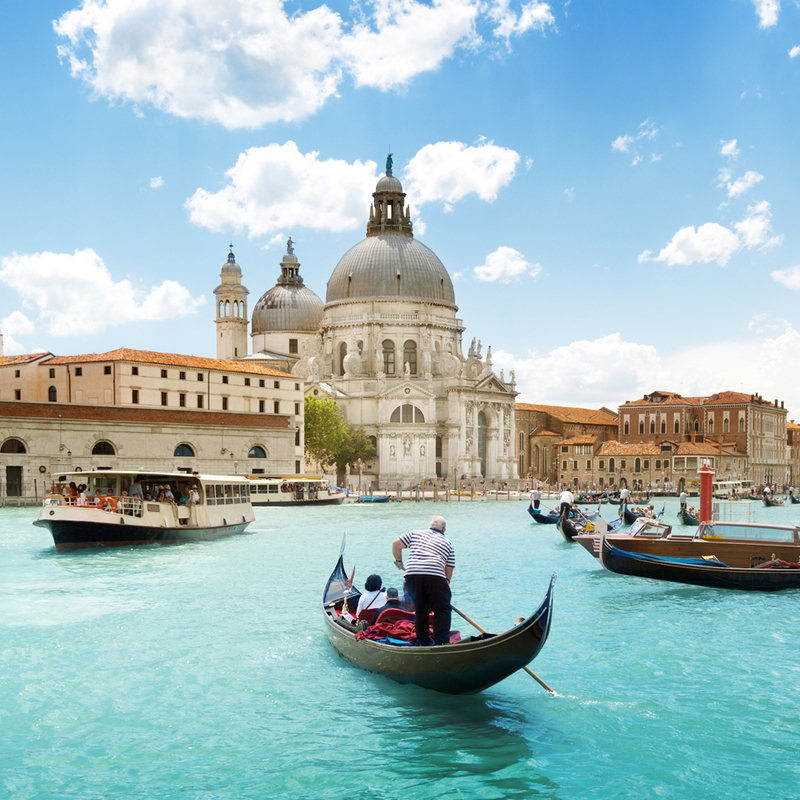 This picturesque seaside resort, once a thriving trading hub, boasts some wonderful examples of medieval architecture and a long history of famous visitors (such as the composer Richard Wagner). Continue to the third and last town: Ravello. 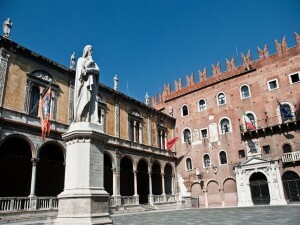 This ancient and fascinating town was once an important trading port until it was sacked and destroyed by Pisa. 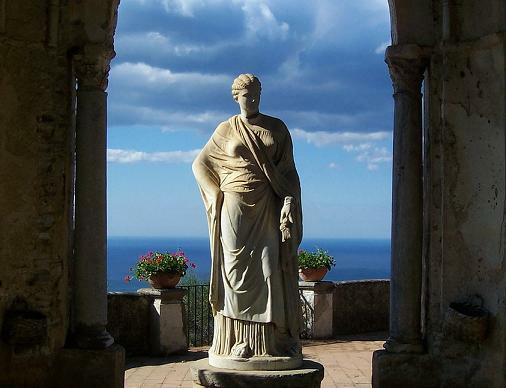 Ravello was revived in the 19th century, having been rediscovered by artists, intellectuals and aristocrats. 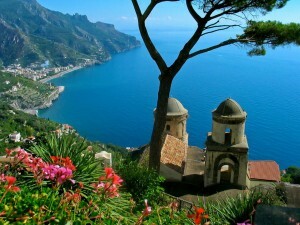 Today, Ravello is a popular tourist destination that offers a rich culture and many beautiful sights. At the end of your excursion, your driver will return you to your accommodations. 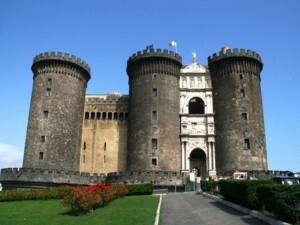 Categories: Day Trips From Sorrento, Popular Tours, suggested tours of sorrento. 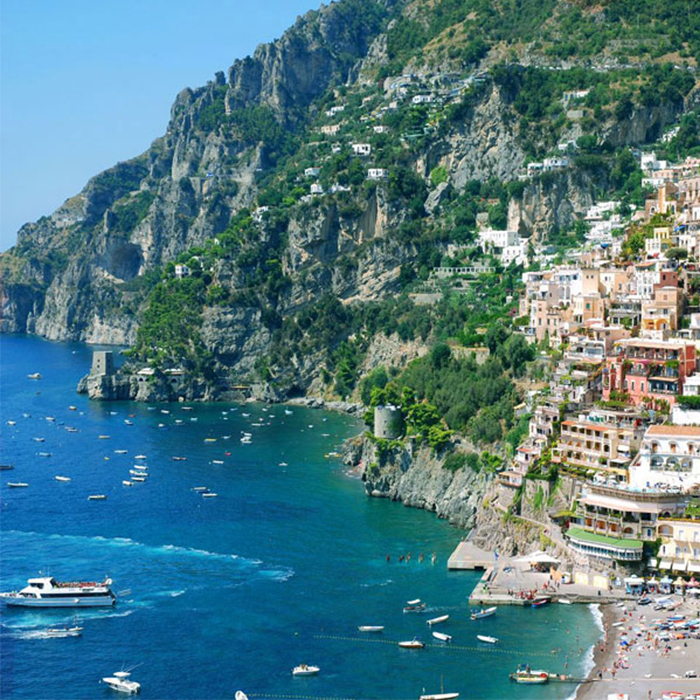 Tags: Amalfi, Amalfi Coast, Day Trips From Sorrento, Positano, Ravello. Probably one of the best known islands in the Tyrrhenian Sea, Capri can be found just off the coast of the Sorrento Peninsula. 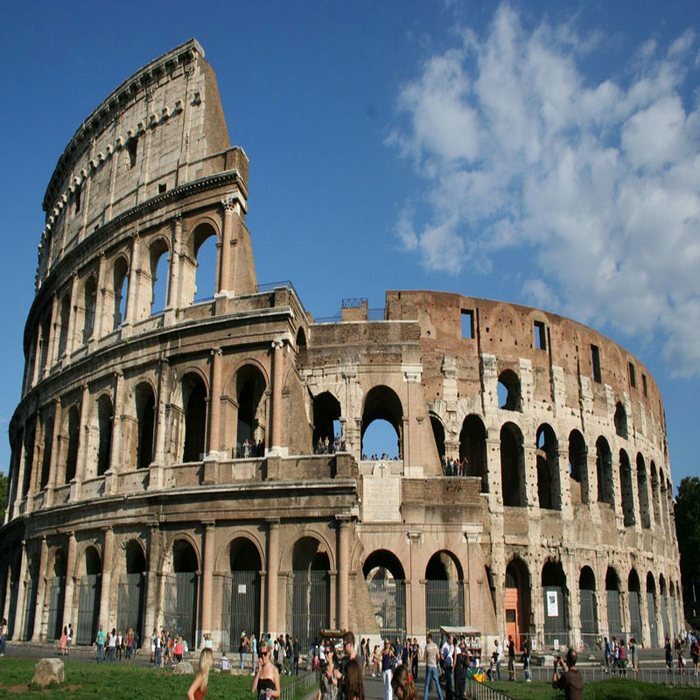 Some of the main tourist attractions are the main city of Capri and above it, the smaller Anacapri; the panoramic promenade between ancient gardens and villas; and the beautiful Grotta Azzurra (“Blue Grotto”). 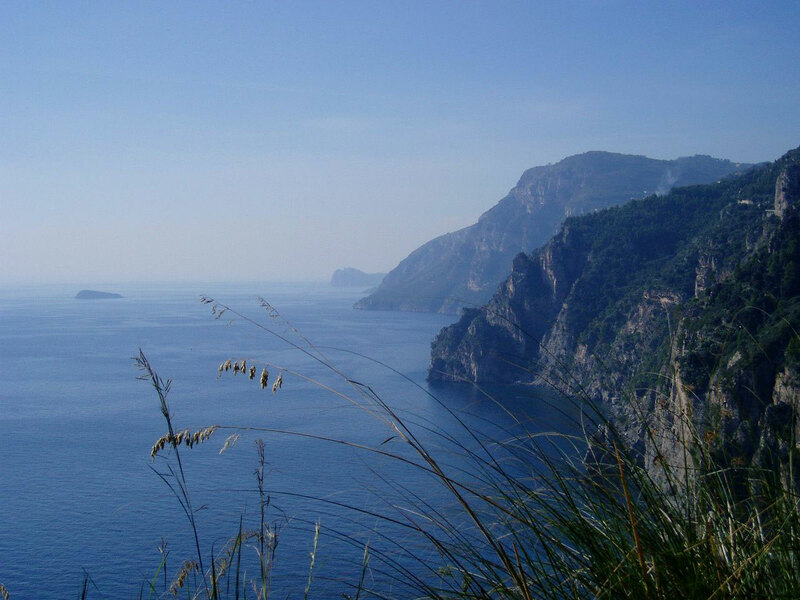 Inhabited since ancient times, Capri did not start to develop until Emperor Augustus came to live the rest of his life in peace. He built twelve villas as well as gardens, temples and other improvements to the island. His successor Tiberius later built more villas, the most famous of which is Villa Jovis, its foundations still visible today. Following the decline of the Roman Empire, Capri fell prey to frequent pirate attacks that continued up until the early 19th century. Categories: Places to Visit, Sightseeing Tours of Capri. 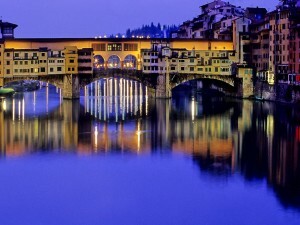 Tags: Amalfi Coast, Blue Grotto, Capri, Day Trips From Sorrento, Faraglioni, Naples, Villa San Michele. Capri counts many influences to its art and culture: from the Byzantine and Islamic architectures of the 1st century to the churches, watchtowers and fortifications of the medieval era. 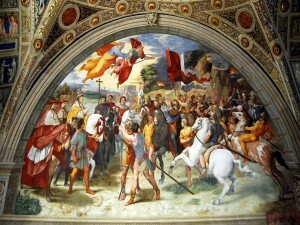 Capri was also captured a number of times; it passed hands from the Kingdom of Naples to the invading Ottoman Empire to Napoleon’s French troops until finally being returned to Italian rule. By the 19th century, things had quieted down and Capri quickly became a popular resort visited by artists, intellectuals and many celebrities. 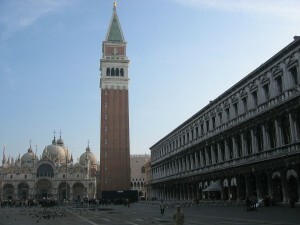 Today, it is a thriving wedding and tourist destination. When visiting Capri and Anacapri above it, there are some attractions which stand out from the rest; Grotta Azzura is one such attraction. The Grotta Azzura is a sea cave which is famous for its dazzling blue illumination that is a result of sunlight reflecting off the water onto the cave walls. 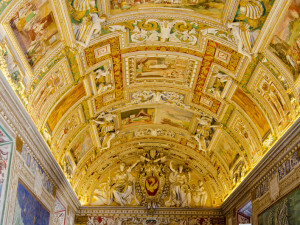 Throughout history, this grotto has inspired artists and writers with its magical charm. 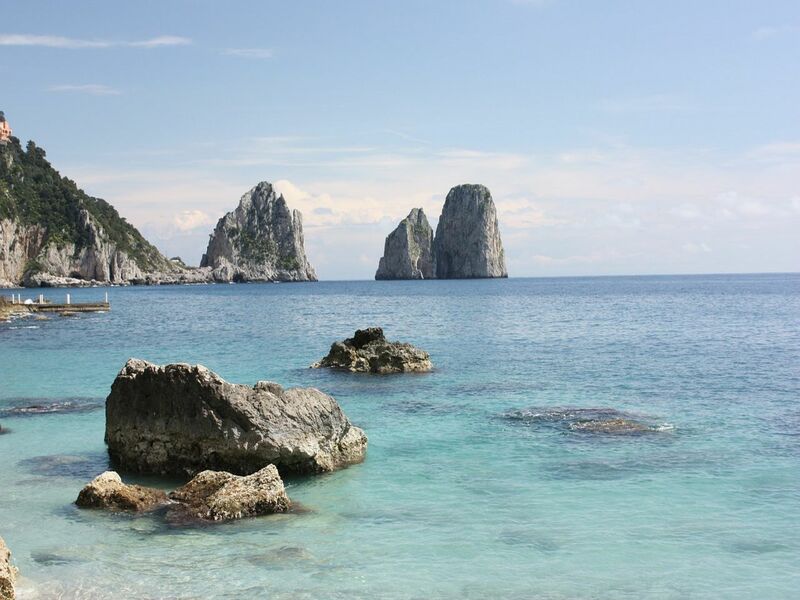 On the other side of the island are the equally fascinating Faraglioni, a natural rock formation resulting from thousands of years’ worth of erosive forces. Villa San Michele, located at the top of the ancient Phoenician Steps, was built in the early 1900s by the Swedish doctor and author Axel Munthe. 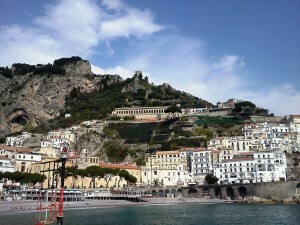 Its location on a ledge between Anacapri and Capri grants it a beautiful view of the main harbor and surrounding bay. 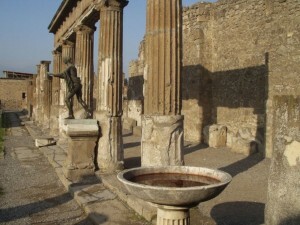 Incorporating Roman ruins as its base, the villa and surrounding gardens boast a large collection of sculptures and various relics from Ancient Rome, Ancient Egypt and other classical ages. Nowadays, it has become a museum. 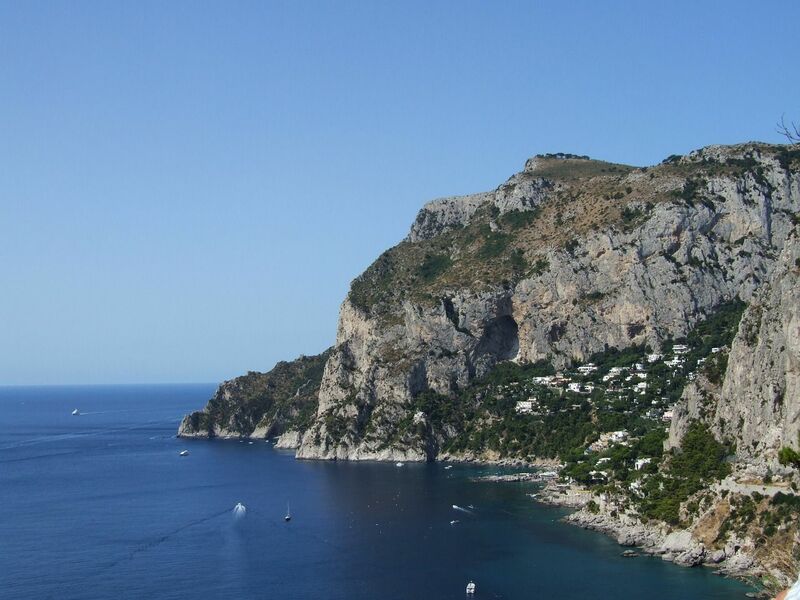 High above Capri, on the hills to the west, is Anacapri. 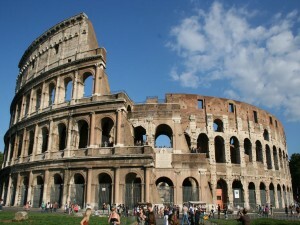 To visit, one can either take the bus from Marina Grande (the main harbor) or brave the long and steep Phoenician Steps. Once there, many visitors take the chairlift ride to Monte Solaro, which offers breathtaking views of the southern coast. The French composer Claude Debussy is one of Anacapri’s most famous visitors. 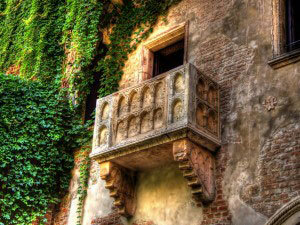 Located in the town of Anacapri, on the island of Capri, is a surprisingly recent building: Villa San Michele. Built in the early 1900s by the Swedish doctor and author Axel Munthe, it takes its name from an ancient chapel that Munthe bought and renovated before building the villa. What is interesting about the construction of Villa San Michele is that its foundations are actually Roman ruins which were discovered and incorporated into the villa’s design. 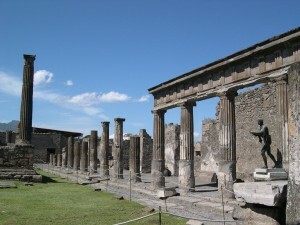 The villa and surrounding gardens boast a large collection of sculptures and various relics from Ancient Rome, Ancient Egypt and other classical ages. Its lovely portico offers a grand view of Capri and the clear blue waters around it; in the distance, Mount Vesuvius seems to rise like a giant from the sea. After Munthe’s death in 1949, the property was bequeathed to the government of Sweden and was later turned into a museum. 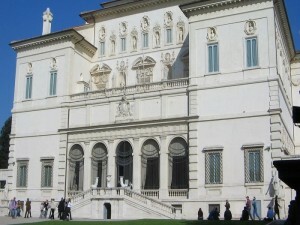 Today, it also hosts special cultural exhibits and concerts of classical chamber music. Rising from the sea just off the south-eastern coast of the island are the imposing Faraglioni, a natural rock formation resulting from thousands of years’ worth of erosive forces. These rocky monoliths have been an inspiration to countless artists and writers, as well as the backdrop for innumerable holiday photos. 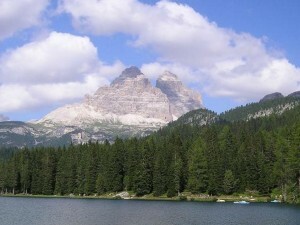 The Faraglioni are three individual rock formations called Stella, Faraglione di Mezzo and Scopolo. 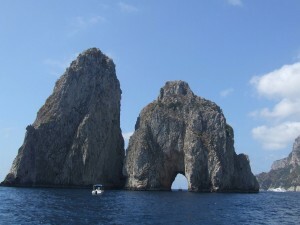 The Stella, the closest to Capri, is connected to the island via a natural rock extension. 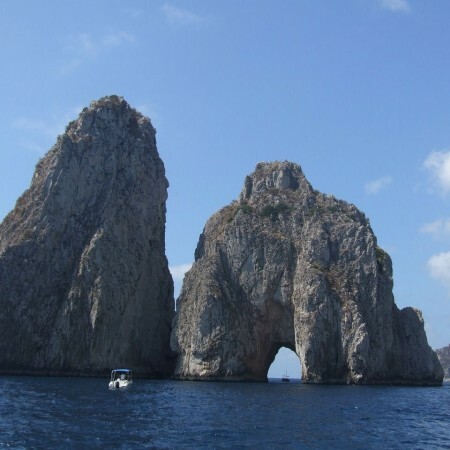 The Faraglione di Mezzo, the middle rock stack, is characterized a central cavity which is large enough to allow small boats to pass through it; this is a popular tour highlight for visitors exploring Capri from the sea. The third and final rock stack is the Scopolo, most famous for its native population of blue lizards that cannot be found in any other habitat in the world. 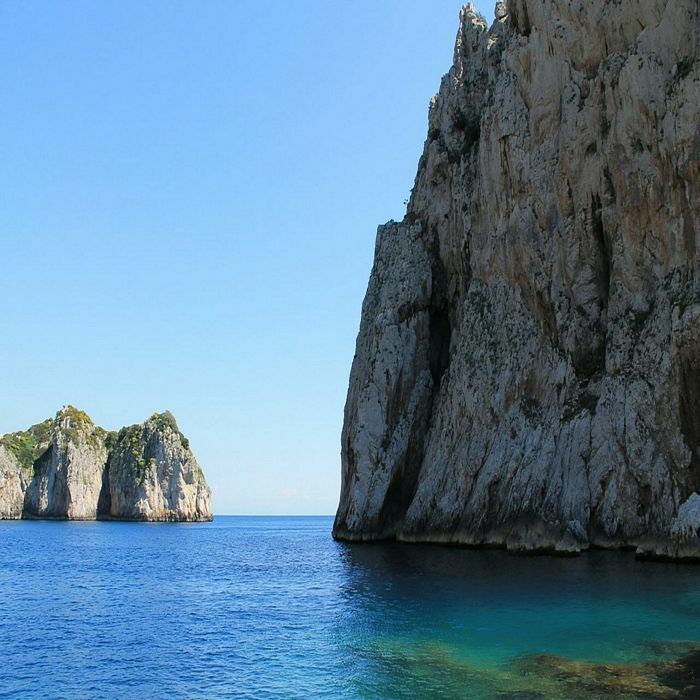 Probably Capri’s most famous natural wonder, the Grotta Azzurra is neatly tucked away in the north-western part of the island. The Grotta Azzurra, or Blue Grotto, is a sea cave renowned for its dazzling blue illumination that is a result of sunlight reflecting off the water onto the cave walls. 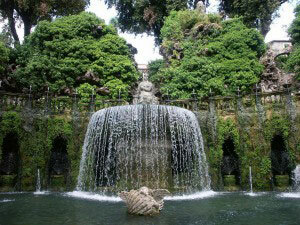 Throughout history, this grotto has inspired artists and writers with its magical charm. First discovered by the Romans who settled on the island, Emperor Tiberius is said to have used the cave as his private temple. Ancient sculptures depicting Neptune and Triton have been recovered from the grotto and are now on display in the museum of Capri. 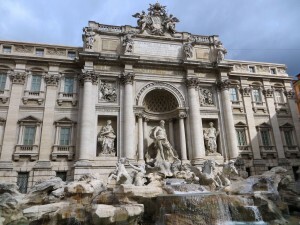 It was “rediscovered” by the German writer August Kopisch, who wrote about it in his book published in 1838, quickly turning the grotto into a popular tourist attraction the world over. The only way for visitors to access this cave is via small rowboats operated by experienced guides. If the weather is good and the sun is shining, you will be able to see the stunning crystalline blue reflections which have given this grotto its name. Ravello is a charming little town built along the Amalfi Coast, offering a scenic beauty that has fascinated visitors for centuries. 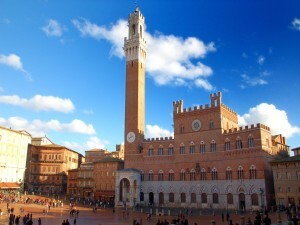 As such, it was declared a UNESCO World Heritage Site in 1996. 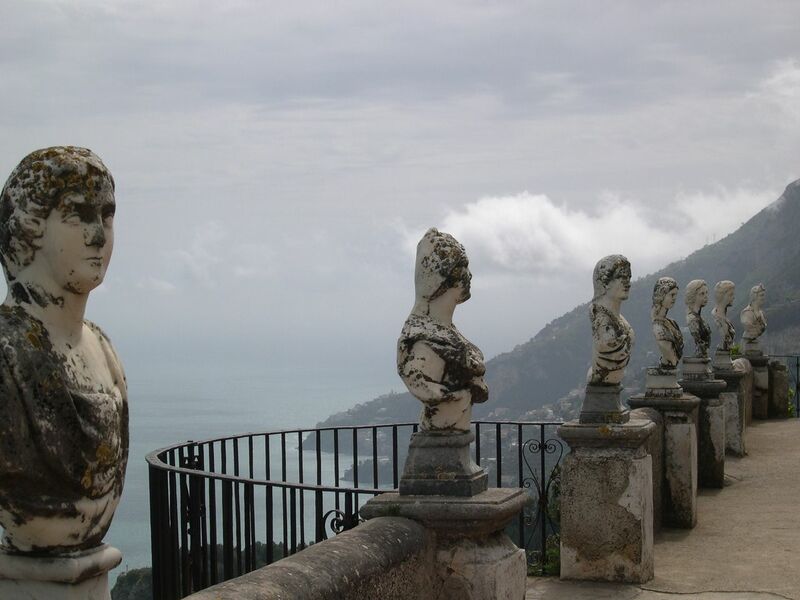 Founded in the 5th century, Ravello was originally a refuge for those escaping the vicious barbarian invaders that ultimately toppled the Roman Empire. 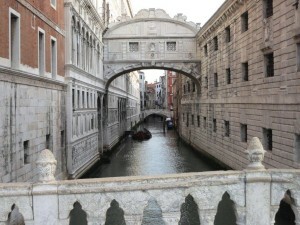 Within a few centuries, the town became an important maritime port that traded wool, grains, and other mainland goods. 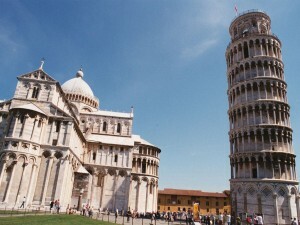 In the 12th century, Ravello was sacked and destroyed by Pisa, causing a massive decline and forcing much of the remaining population to move elsewhere. 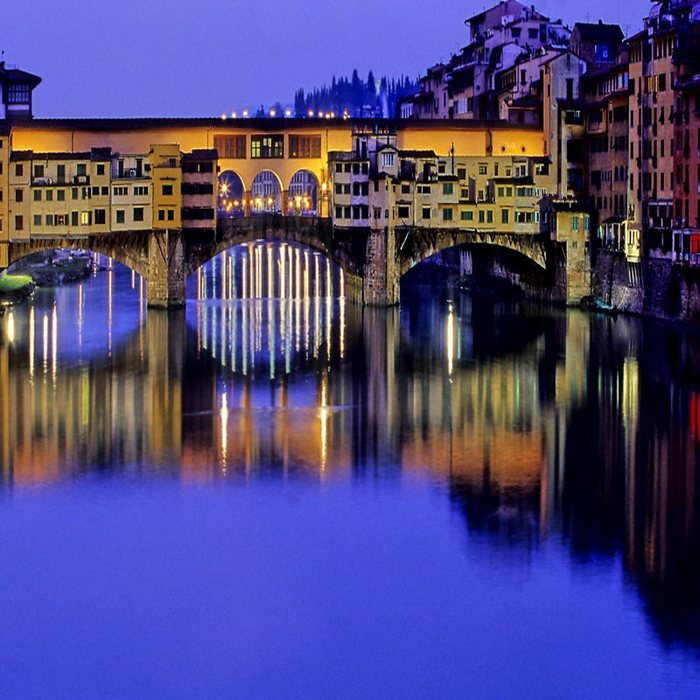 The town did not begin to recover until the 19th century, when it was rediscovered by artists, intellectuals and aristocrats. 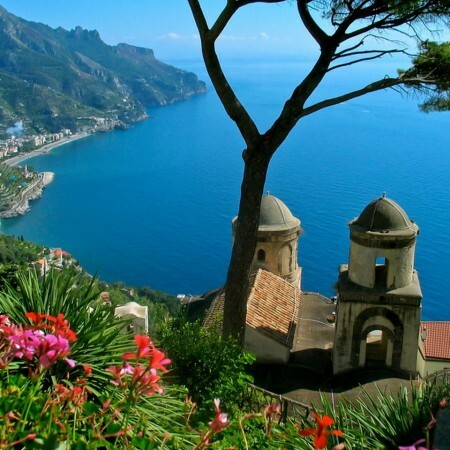 Today, Ravello is a popular tourist destination that offers a rich culture and many beautiful sights. 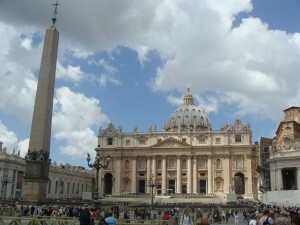 Category: Sightseeing Tours of the Amalfi Coast. 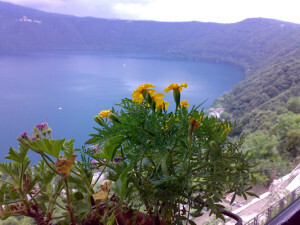 Tags: Amalfi Coast, Day Trips From Sorrento, Positano, Ravello. 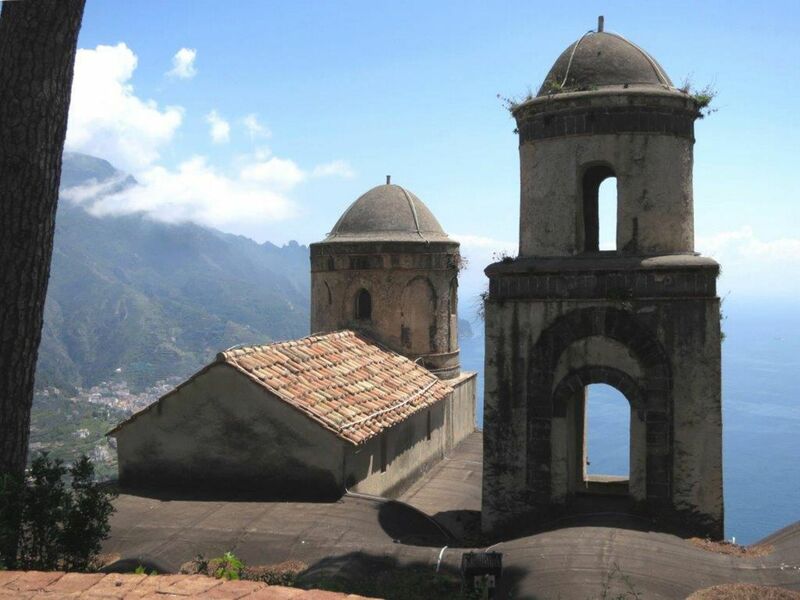 Of these sights, the Duomo of Ravello is decidedly one of the best. This 11th century cathedral, dedicated to Saint Maria Assunta, has a gorgeous marble pulpit made by the sculptor Nicola di Bartolomeo. 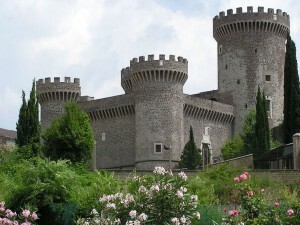 Also worth visiting is the Villa Rufolo, built by the powerful family of the same name in the 13th century. 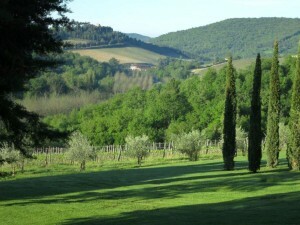 This villa has lush gardens offering a breathtaking view of the coast, and is well known for having hosted the composer Richard Wagner in the 19th century. Also found in Ravello is the 11th century Villa Cimbrone, once owned and renovated by the baron Ernest William Beckett and his family. 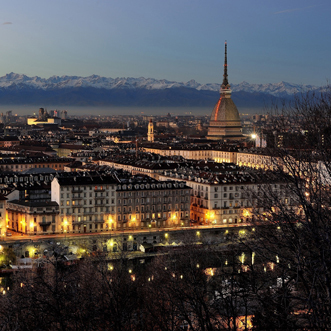 It is most famous for its spectacular belvedere called Terrazzo dell’lnfinito (“Terrace of Infinity”), offering an amazing view of the sea. Located on the homonymous Amalfi Coast, the gorgeous Amalfi is the most important town in the area as well as one of the most popular, attracting huge numbers of tourists every year. 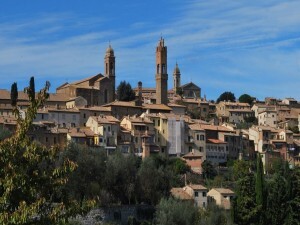 Due to its cultural and historical importance, the town was included in the UNESCO World Heritage sites. 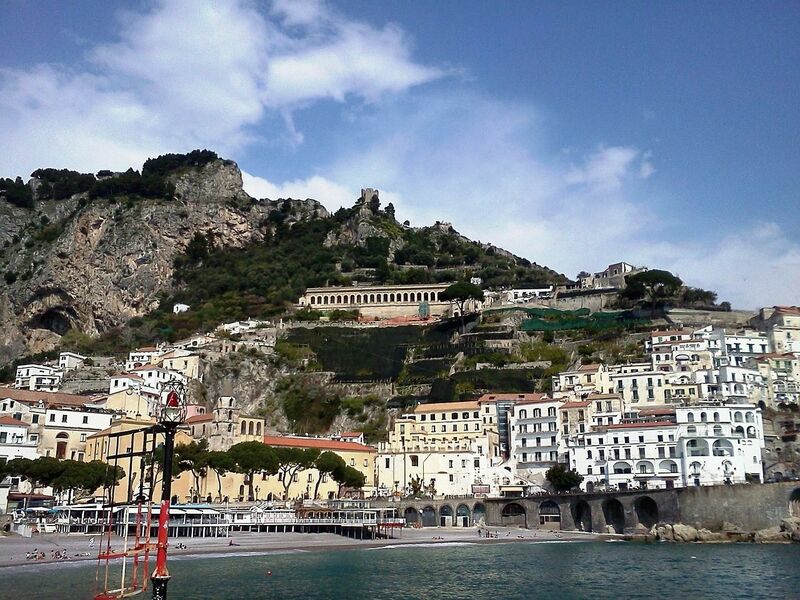 Founded during the Roman era, Amalfi was a small resort town which eventually flourished in the 6th century as a maritime power that would later rival Pisa and Genova. It became a rich trading hub, dealing in grain, salt and timber, as well as exotic merchandise from Egypt and the Byzantine Empire. 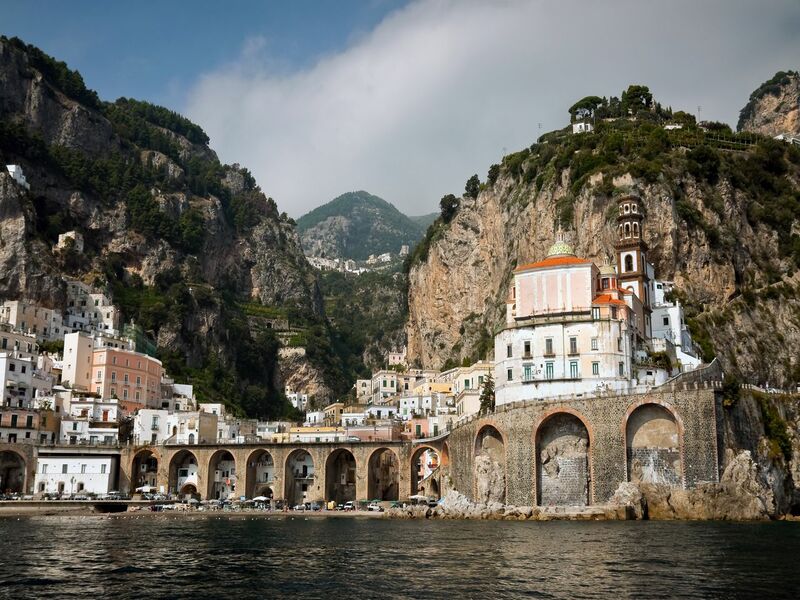 Amalfi’s importance declined when it was taken over by Pisa in the 12th century, and after a tsunami that destroyed its port and lower section, it never quite recovered its former glory. 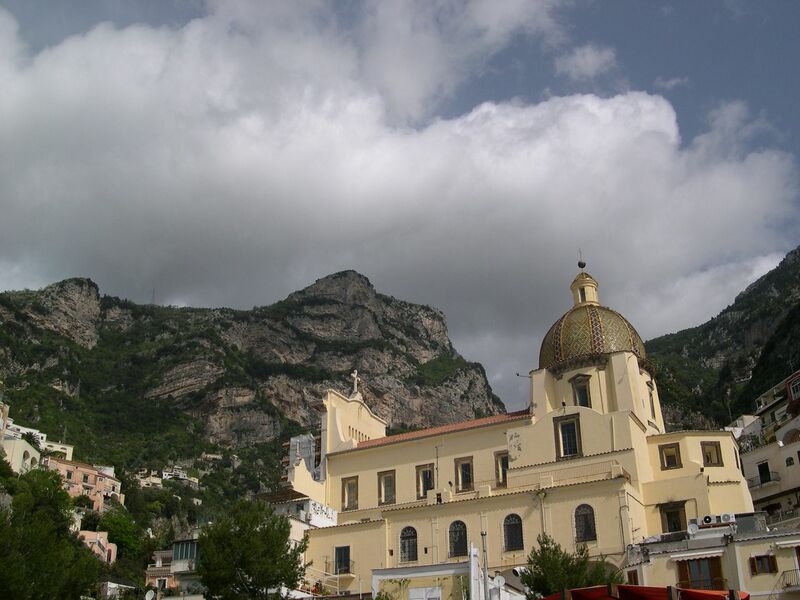 Nevertheless, Amalfi now thrives as a popular holiday destination; in fact, many important people have visited the town over the years, such as the composer Richard Wagner and the playwright Henrik Ibsen. 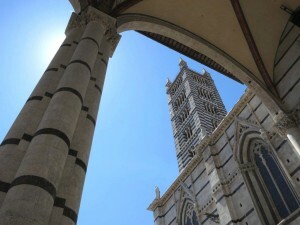 Demonstrating beautiful examples of medieval architecture, the most fascinating by far is the Duomo di Amalfi, built in the 11th in the Byzantine style and decorated inside in the Baroque style. 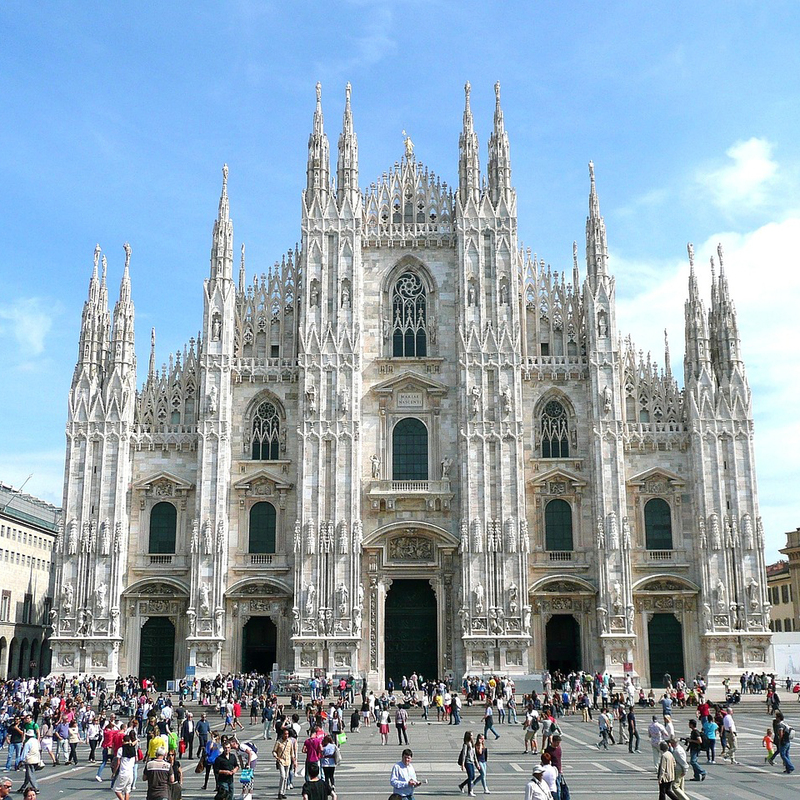 According to legend, the Cathedral contains the remains of Saint Andrew, which were brought back from Constantinople during the Crusades of the 1200s.